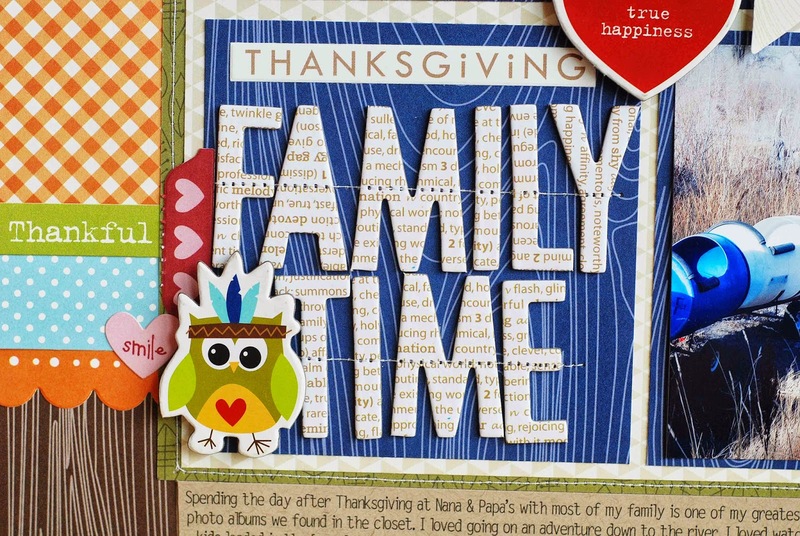 Thank you for being patient as I took last week off of "Lets Talk Tuesday" to spend some time with my family that was here for the Thanksgiving holiday. We had a wonderful (and BUSY) week. I was reminded why Thanksgiving is my favorite holiday, it's all about family and food. I LOVE it! 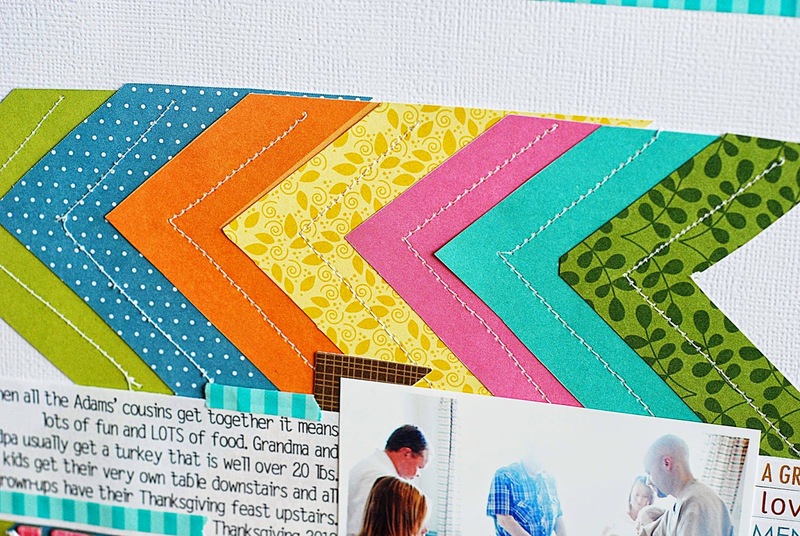 Today, I thought I'd share some of my favorite Thanksgiving projects with you. This album I did for Bella Blvd and Paper Issues. It's one of my very favorite mini albums. 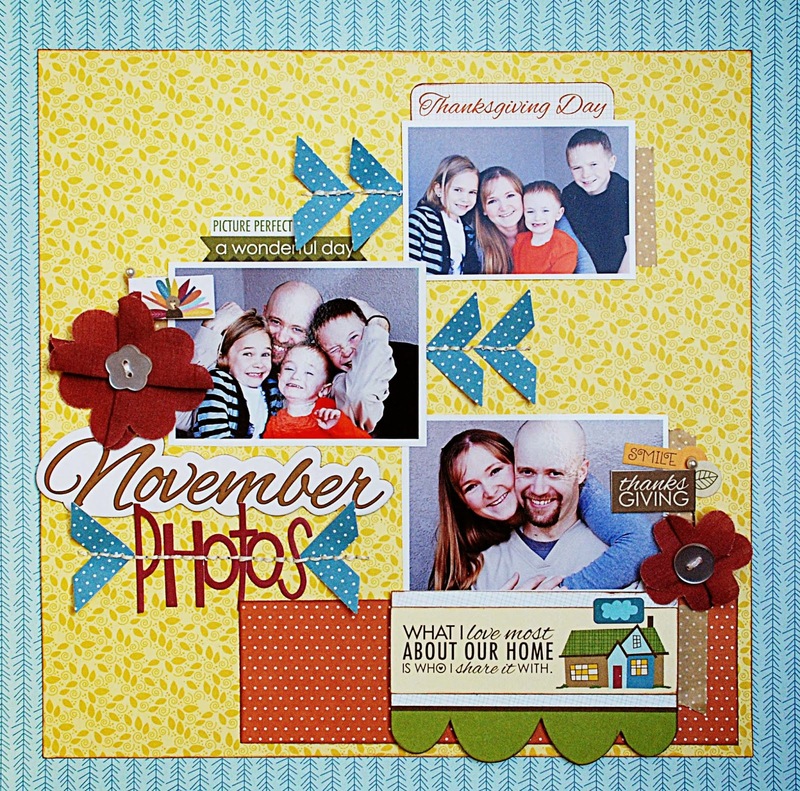 It was a lot of work and a lot to keep up with during November but as I look back through the album I realized how much it captured about our life at that time. You can find the full post about this album HERE. When I created this layout for Bella Blvd I was worried about how it would turn out. The design was a little bit different than my usual style and the photo was less than stellar. In years past I didn't take as many photos. (I remedied that situation this year, with 2 Thanksgiving dinners and having a week with all the cousins here I took about 200 photos.) I won't be searching for Thanksgiving photos anymore! I used a lot of the * Bella Blvd Thankful Collection . 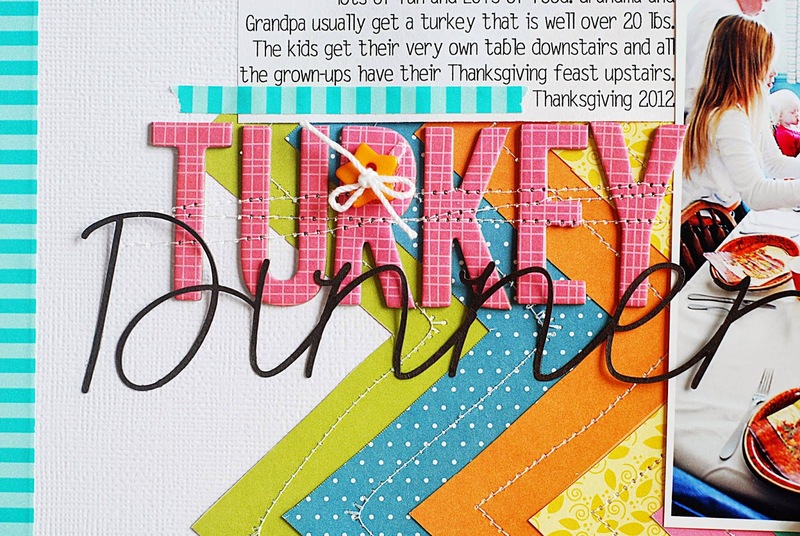 (One of my all time favorite collections, uh, it is a Thanksgiving themed collection, of course I'm going to LOVE it). 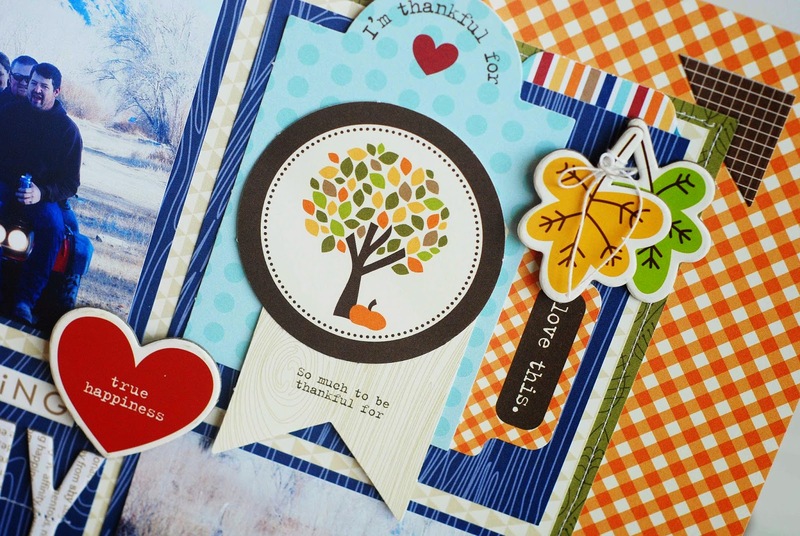 The next project is using a newer collection by Bella Blvd the * Hello Autumn Collection . It's another awesome collection. 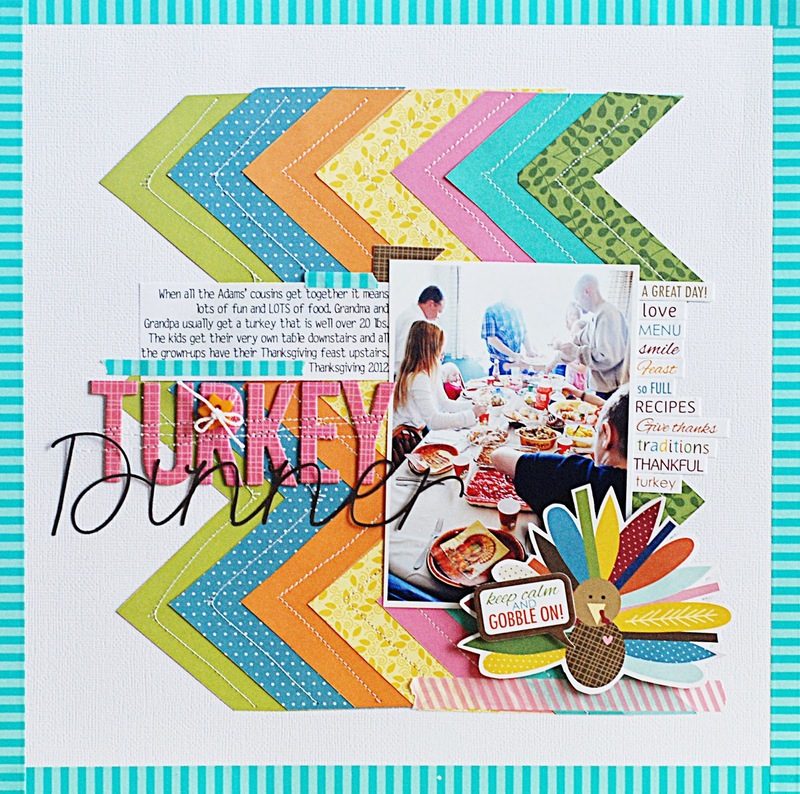 It's not entirely Thanksgiving themed but it has a lot of Thanksgiving themed elements. We have a tradition in our little family (doing it two years in a row classifies it as "tradition", right?) of taking a few family photos on the front step as we walk out the door to go to Thanksgiving dinner with our families. This last project showcases a few of the photos we took on our front step. I'm sure that you're an awesome photo taker and that you'd never forget to take photos of Thanksgiving events. 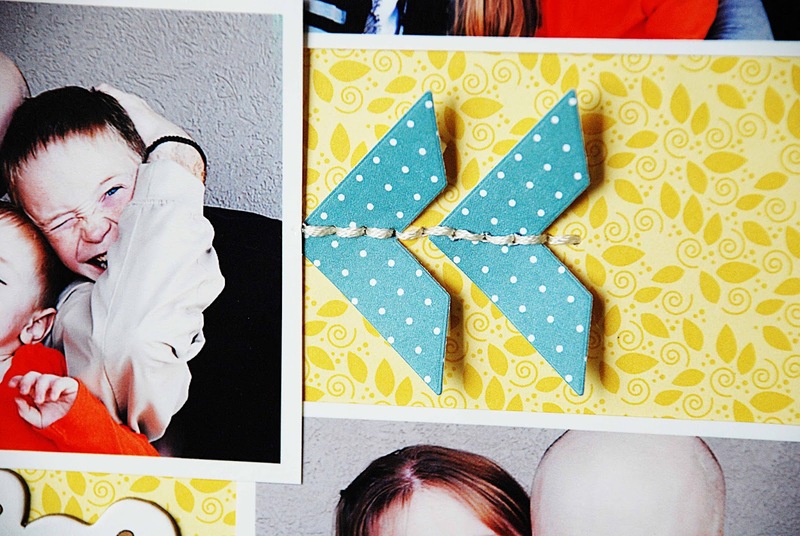 Is there a time you've forgotten to take photos that you regret? i love your colorful Pages!!! Its such a fun to look at them!! 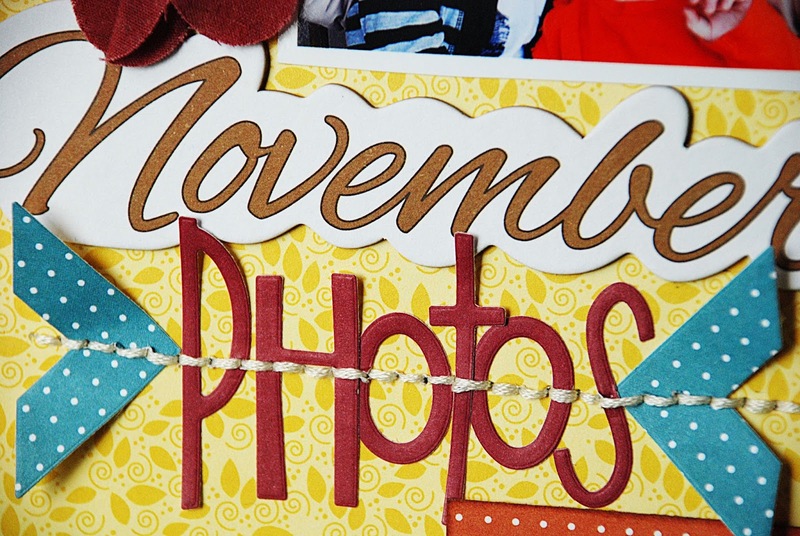 Would it be ok for you if i take the LO "November Pictures" for a Jumpstart-Lifting-Challenge in a German Scrapforum that i am in? Of course i would give you credit and link your Blog!!! I would love to lift your LO for this Challenge!